My next thought was that that one bag with the items I couldn’t find didn’t make it into my trunk. It was left in the cart so I went to lost and found. No luck. At this point the manager gently and diplomatically suggested I might have put it somewhere at home and forgot. She said that happens often at this busy time of year?. Fast forward to July. I went into a closet in one of the spare bedrooms (A closet that wasn’t full of golf shirts. See previous blog.) to get something and there was a Target bag full of stocking stuffers. The melted chocolate Santas oozing out of the wrappers. I gasped. I had found the hidden gifts. There are gifts of the Holy Spirit that often go unfound. I discovered them 10 years ago and my life has never been the same. It was like finding the hidden bag of Christmas presents I forgot where I put, only it’s July. I was so excited at the discovery and at the same time frustrated that I had been unaware of the gifts for so long. Do you remember when you made your Confirmation and you had to memorize the seven Sanctifying Gifts of the Holy Spirit: wisdom, understanding, counsel, fortitude, knowledge, piety, and fear of the Lord. And maybe later in your faith formation you were introduced to the nine Fruits of the Holy Spirit: love, joy, peace, patience, kindness, goodness, faithfulness, gentleness, and self-control. These gifts are for us and reflected by us as we live a holy life. The third set of gifts, the lesser known, are our charisms. Charisms are gifts given to us at baptism to enable us to carry out our baptismal call to bring Christ to the world. They are gifts given to us to give away. To give to others. Did you know you have been called and gifted to a unique work for God? I bet, if you are like me, you thought only special people like clergy and religious and saints did that. Well surprise, surprise! You and I are called to this mission too and we are gifted with exactly what we need to carry out that mission. Those gifts are our charisms. Our mission is the same, to bring God’s love and goodness to the world. The way in which we are called to do that is unique and as varied as there are people in the world. For some their gift is teaching, music, or craftsmanship. Others it’s writing, administration, wisdom, or giving. Still others bring God’s goodness and love to the world through their gifts of encouragement, intercessory prayer, and leadership. Our “mission field” is unique and varied also. Some are called and gifted to bring Christ to a faraway land but many are called and gifted to a mission field very close and familiar: our workplace, our school, or across our kitchen table. How often throughout our lives we find ourselves restless and challenged because we don’t have a clear sense of purpose? How often we struggle to discern our next move at transition times in life like when we start a career, change jobs, go through a divorce, lose a spouse, find ourselves in the empty nest, or face retirement? Discerning our charisms and opening ourselves up to the unique way God has gifted us and where he is calling us to use those gifts gives our lives purpose and clarity. 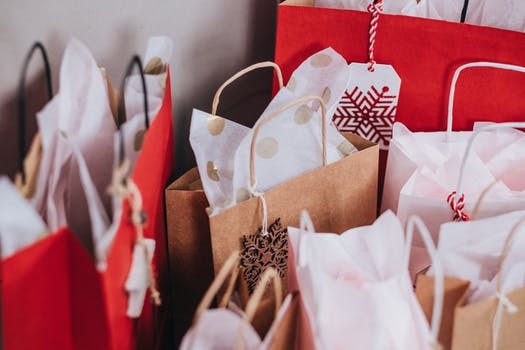 Knowing what gifts we have helps us avoid burnout because when we discern what charisms we do have we also learn what gifts we don’t have and can use that knowledge in making decisions about how to spend our time and energy. At this point, you might be saying, “What is she talking about?” “I have never heard about any of this before.” “No wonder she forgets where she put things.” “She is crazy!” I had similar feelings when I first heard about the charisms. So, to assure you (and me) that I’m not crazy I will tell you where to find the proof that these lesser known gifts of the Holy Spirit do exist. Charisms are listed in Scripture. Ephesians 4:11-13 mentions evangelism, pastoring and teaching. Romans 12:6-8 mentions teaching, giving, mercy, and leadership. 1Corinthians 12:4-11 speaks of wisdom, knowledge, faith, and healing. We also find mention of them in the Catechism of the Catholic Church: CCC 799-801 and CCC 951. And if you are really ambitious you’ll find them in an ancient text called Summa Theological written by St. Thomas Aquinas. As a result of stirring up the Holy Spirit in my life I discovered gifts I never knew existed. 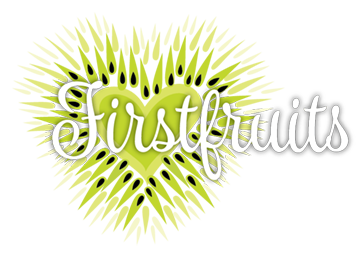 Discovering my charisms of Leadership, Wisdom, and Evangelism started me on a winding, convoluted path that eventually led to the lower level of a building in Elm Grove, to Firstfruits. I never could have imagined a more perfect “job” for me! God knew what joy it would bring me to be able to gather women to experience his love. That’s the other amazing thing about discerning your gifts and surrendering them to God’s plan, it’s perfect! It’s like nothing you could dream up yourself. We are finishing up the Catherine of Siena Institute’s Called and Gifted series at Firstfruits next week. A six-week series on discerning your charisms followed by a one on one Gift Discernment Interview then an optional three-week Deeper Discernment series. If you are interested in learning more about future groups contact me at Firstfruits.Joan@gmail.com. Where could your charisms take you? Go bring your gifts out of the closet.